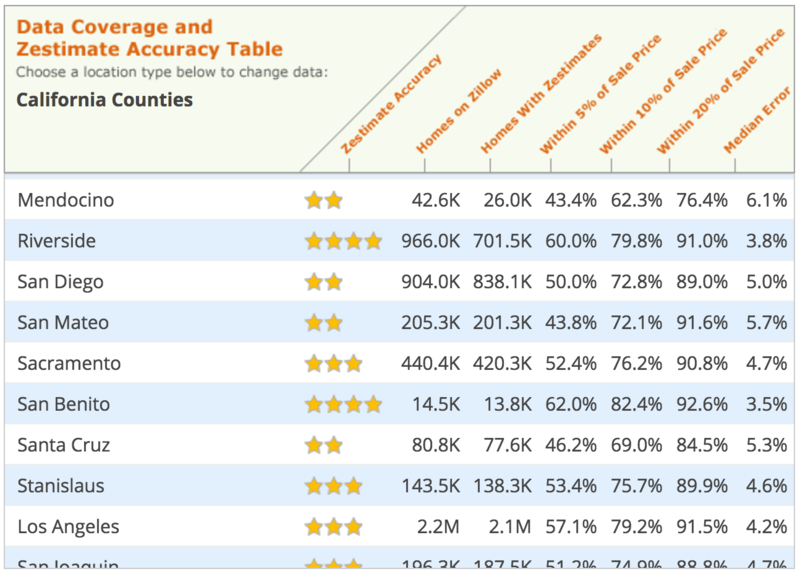 Zillow Says My Home is Worth… What?? If you were buying a home and the seller said, “Well… I’m asking $650,000. But I estimate the value to be about $580,000.” Upon which of those prices would you base your offer? 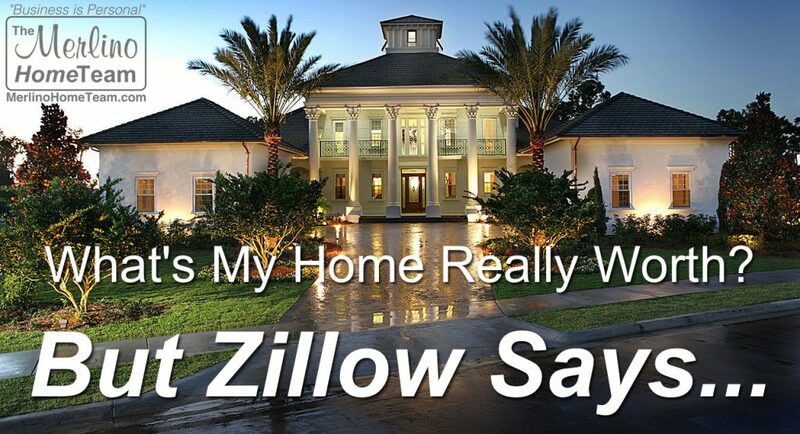 Take a look at any home listed for sale on Zillow and that’s exactly what you might find. It’s totally absurd. Imagine the same scenario at a car dealership. The salesperson says, “We’re asking $84,544 for that fully loaded BMW. But we estimate it’s value at about $77,300.” Worse yet… the average home buyer believes that the “Zestimate” is pretty accurate. So it’s not any better for a seller if the “Zestimate” is high. The buyer will just think there’s something wrong with the home. I’ve actually had this question from buyers. “Why is this home priced so far below what Zillow says it’s worth? Is there something wrong with it? Is this a bad area?”, they ask. The chart to the left was taken directly from Zillow’s site on December 15th, 2016. Of the 440,400 homes that are on Zillow in Sacramento County, 52.4% of the “Zestimates” came within 5% of the eventual sales price. For a $400,000 home that means they were off by about $20,000. But if 52.4% were within 5%, that means that 47.6% were off by more than 5%. That’s how I read this chart. 76.2% were within 10%. Conversely, 23.8% were off by more than 10% (off by $40,000 or more on that same $400,000 home). Without getting too deep in the weeds, the numbers aren’t pretty. 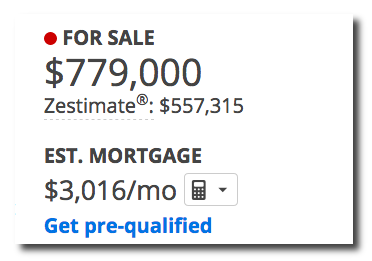 An actual Zillow Zestimate that is over $200,000 lower than asking. Click on it to see for yourself. and it’s going to cost you. Appraisals are running about $500 these days. Owner Estimate – Most buyers will not trust a seller’s estimate of their homes value while it is for sale for obvious reasons. Comparative Market Analysis – Considered accurate by most buyers. You’ll want to list the agent that prepared it with their contact information. Zillow gives you a field to do this. Zillow posts the source of your “Zestimate” right next to it for all to see. So you will want it to read, “Comparative Market Analysis” or “Appraisal“. Once you have done this, your “Zestimate” will line up with your asking price. Do not make it exactly the same as your asking price. It should appear as if it were a randomly generated number. The process can be tricky even for those who are technically capable. We will gladly help anyone, regardless of whether or not you are our client, complete this on their own home FREE of charge with no strings attached. So if you are thinking of listing your home or even selling it yourself, contact us. We’ll help you make sure that your “Zestimate” is not sabotaging your marketing efforts.